The Baluchari Saree originated in West Bengal, and is mainly worn by the women of India and Bangladesh. It is a hand woven saree using richly dyed silk, with intricate motifs depicting Indian mythology woven onto its large ‘pallu’. Baluchari takes a week to be woven, and the craftsmen are largely centered in Murshidabad. 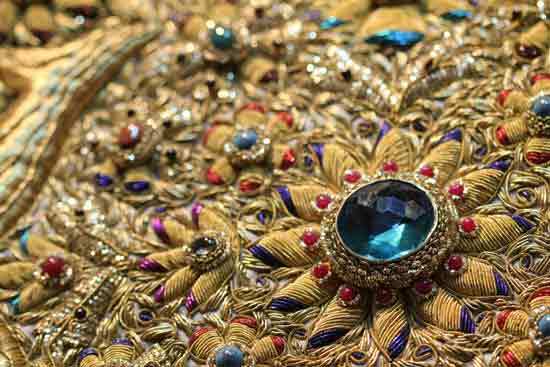 The designs are mainly from the Ramayana and Mahabharata, and are worn as a sign of aristocracy and status. They are indeed connoisseurs’ items. 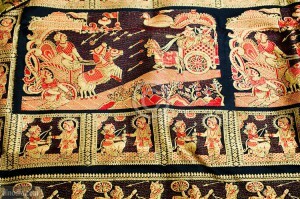 The Baluchari sari traces its origin to West Bengal. 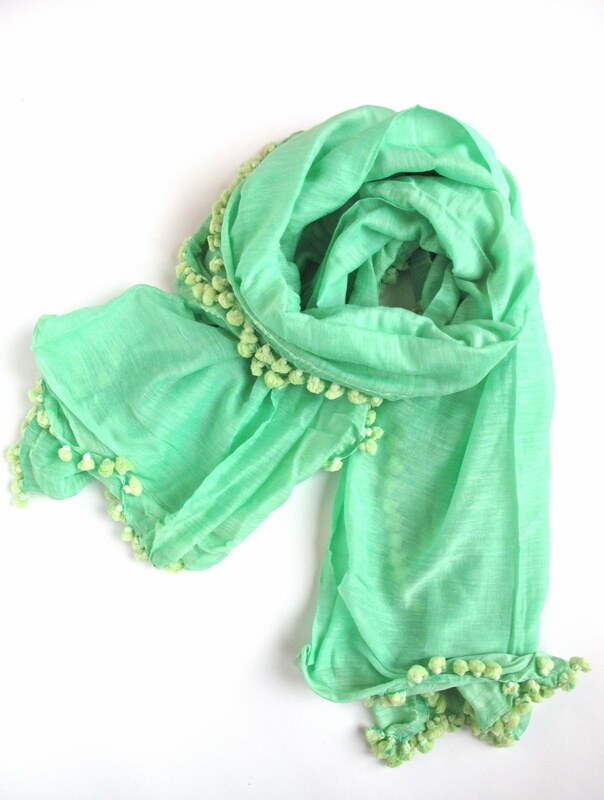 The name Baluchari came into existence because the weaving of these saris started in a small village called Baluchar in the Murshidabad district of West Bengal around 500 years ago. Due to some natural calamities, the weaving set up was then moved to Bishnupur from Baluchar and the industry grew tremendously there after the British rule. Manufacturing a Baluchari sari is a time consuming process. It requires extremely good craftsmanship and takes around a week to weave one saree. 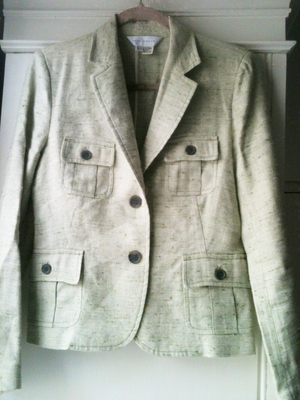 These are hand woven and use the purest of yarns depending on the material. These were originally woven only using the purest of silk threads; however, as time went by, cotton fabric was also used to weave the Baluchari sari. The mulberry silkworms are cultivated through a process called Sericulture and the silk yarns are extracted from their cocoons. These silk yarns are made smooth and colorful by boiling them in hot water and soda and then treating it with acid color dye. After that, the yarn is stretched to make it tight and strong enough to be woven into a saree. 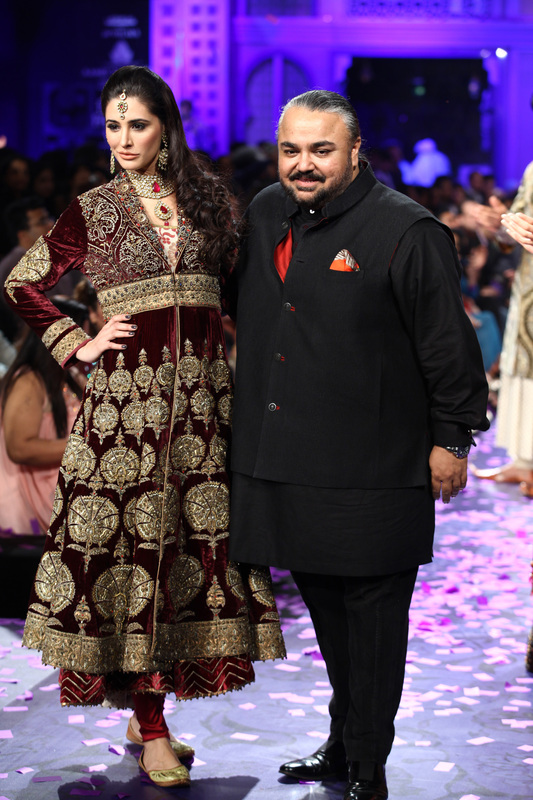 The complex yet beautiful process of weaving the motifs and embroidery comes next. The raw designs drawn on paper first and then punched back into the sarees. The colors used these days while weaving Baluchari saris are bright and cheerful. A lot of environment-friendly items are being used to weave Baluchari sarees today. Banana plant stems, bamboo trees and natural products like flower dye, fruits dye, neem leaves, turmeric leaves and dried twigs are used in the weaving process. The Baluchari sarees are known for their intricate designs and handwork on them. No other saree uses as many mythological designs as the Baluchari sarees. They are dominated by stories and characters from epics like Ramayana and Mahabharata. These characters give a royal look to the Baluchari sari. 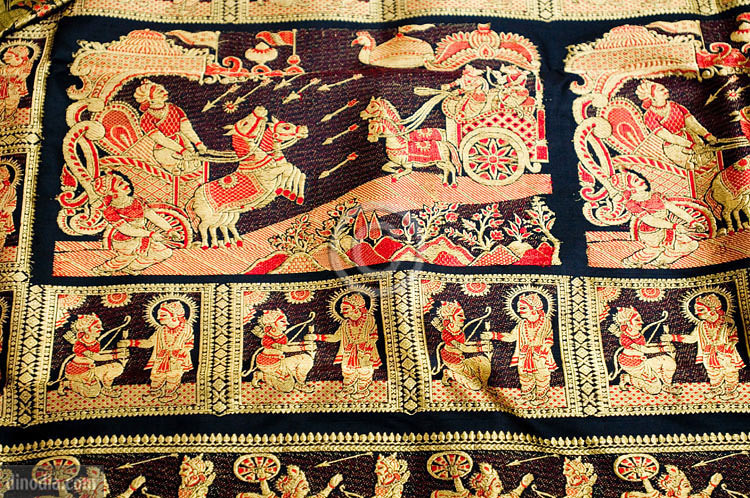 Saris depicting the story of Lord Krishna explaining the Bhagavad Gita to Arjun is one of the most popular design of Baluchari Saree. The mythological designs make a Baluchari saree perfect for ceremonial and festive occasions which have a religious touch to it. Ornate jewelry in the form of neckpieces and earrings complements a Baluchari Saree well. Baluchari Saree is mainly worn by Zamindar and women from upper-class households in Bengal during festive occasions and weddings. The Baluchari saree was one of the National Award winner among the main weaving styles in the year 2009 and 2010 presented by Hon. President of India, Pranab Mukherjee.